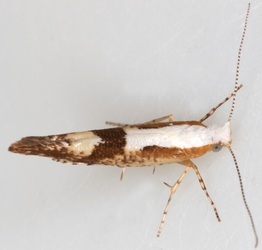 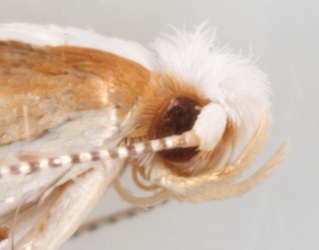 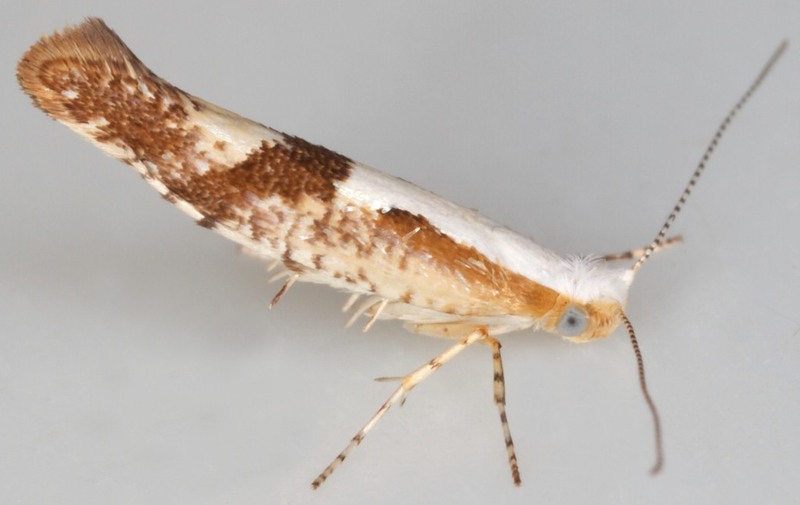 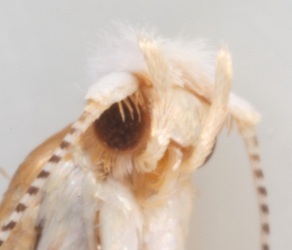 ID: There are 7 species of Argyresthia with a similar pattern of a white dorsal streak interrupted by a brown or fuscous spot or fascia at around 1/2 and with basal markings not confined to the costa (excludes A.ivella), without an additional white basal streak in fold (excludes A.abdominalis) and with the forewing not largely uniform in colour apart from the dorsal streak (excludes A.semifusca/albistria/semitestacella). 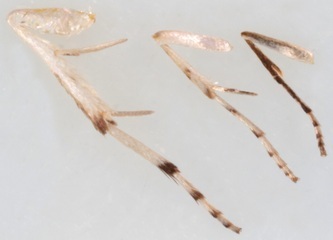 According to MBGBI3 A.pruniella has the "median fascia pronounced, bent outwards to meet or nearly meet the costa before 3/4" while A.bonnetella has the "median fascia slender and curved towards termen, nearing costa towards apex"; in short the median fascia of A.pruniella is "broader and less oblique" than that of A.bonnetella. 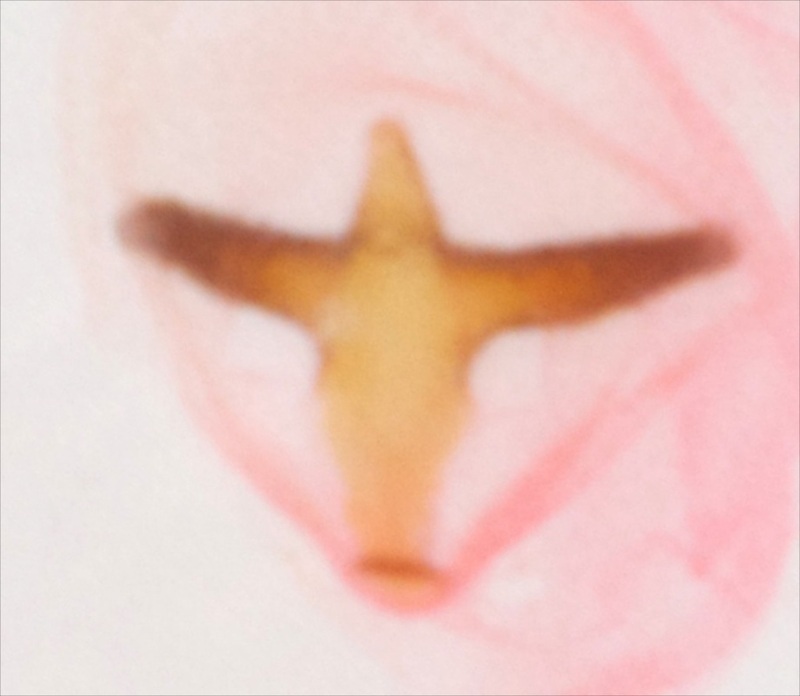 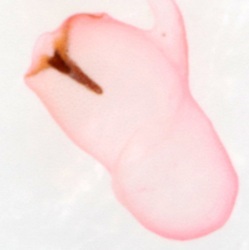 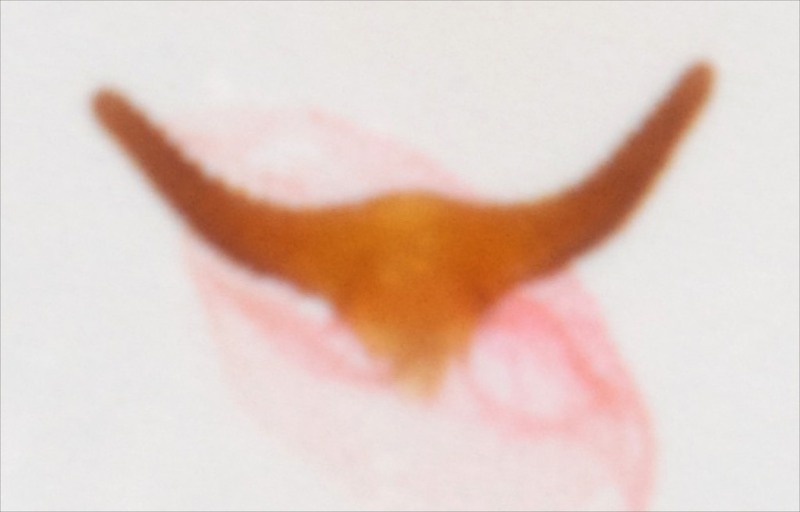 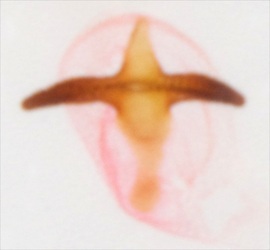 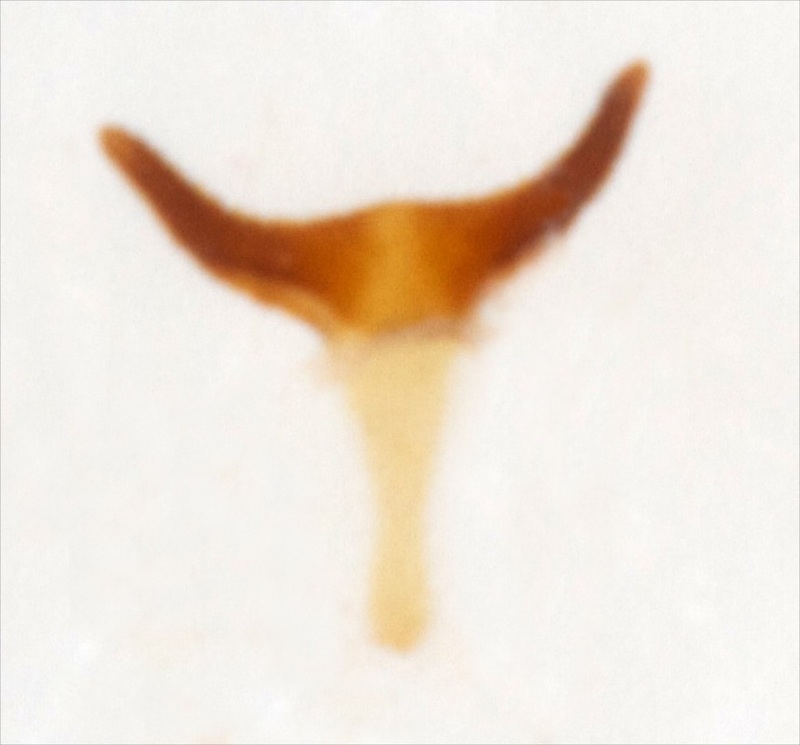 Female genitalia: the signa of both species are shown at dissection group; however A.pruniella is shown only in the standard "flat' view and A.bonnetella is shown only in the "skyline" view - making the images impossible to compare. 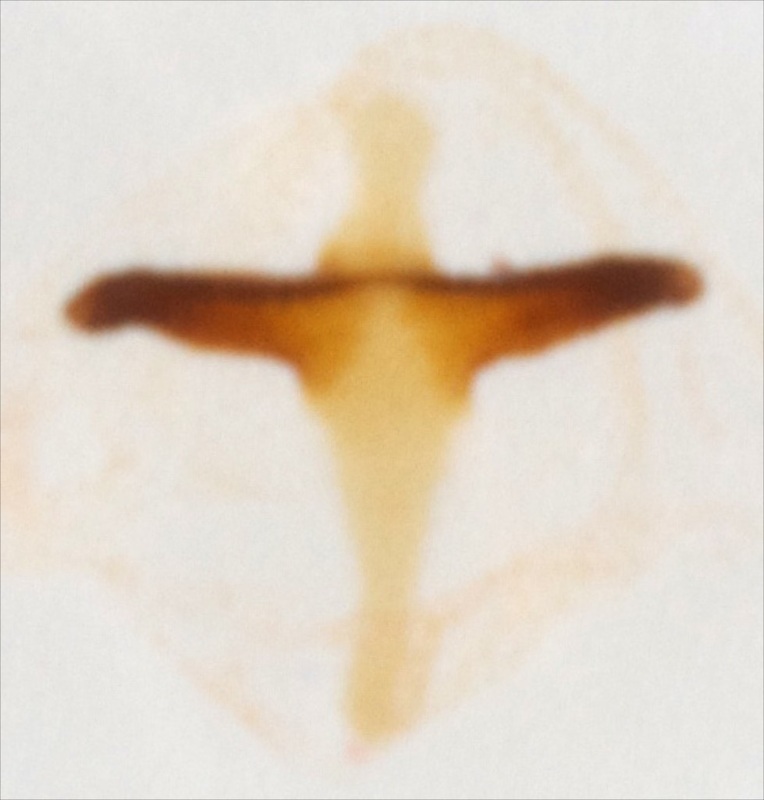 However, the signum of specimen §1 does show some differences from that of the specimen I have identified as A.bonnetella. which averages smaller (ws9-11mm).